You see, I am a person who loves the lead up and anticipation of Christmas almost more than the holiday actually arriving. I guess I am still like a kid who’s counting down the days until Santa arrives. Speaking of Santa, one of my most favorite parts of this time of year is giving and receiving edible gifts. Homemade gifts are the best! They’re so special. I think I like them so much (aside from their tastiness) because someone put time and effort into making the gift…and what’s more valuable than someone giving you their time? 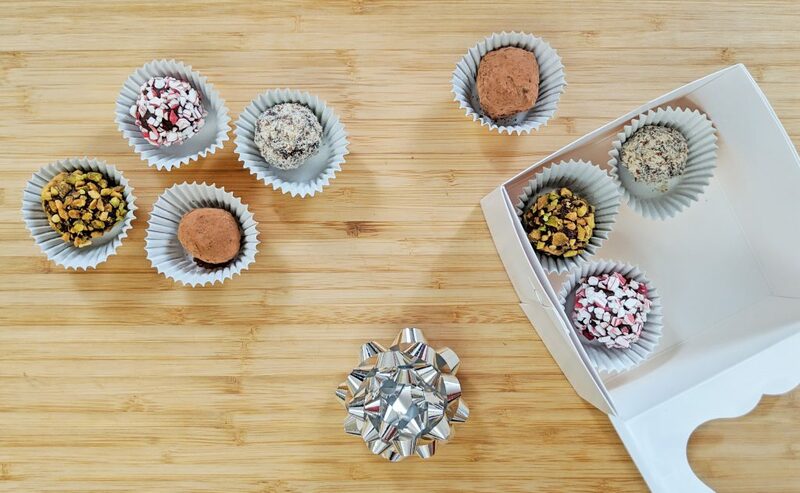 As for time, Chocolate Truffles get a bad rap because they take so much time to make. That’s true…they do take a lot of time to make them. But—and this is a biggie—what you don’t hear is that most all of that time is spent letting the chocolate chill. There is really not that much active cooking time. 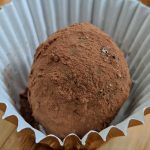 So, Chocolate Truffles are actually a really great recipe that you can plan around everything else you have going on. 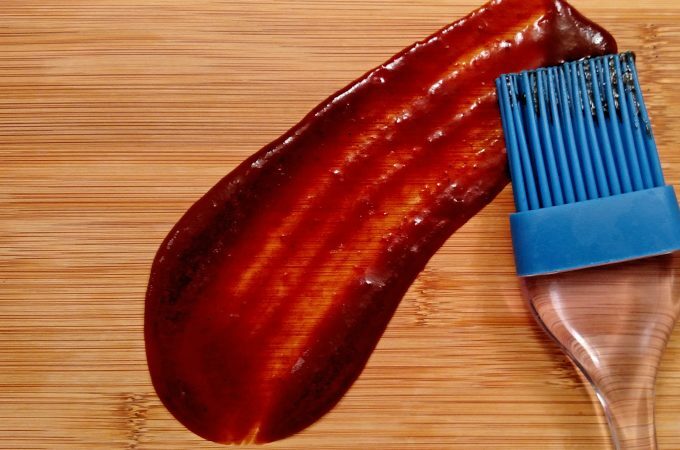 Melt Chocolate: takes 10 minutes a most. Chill Chocolate: this is the downtime I was speaking of…two hours to overnight (or longer)…whatever works for your schedule. 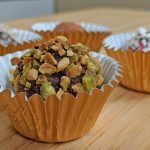 Roll & Dip Chocolate: you can roll them and dip them in the toppings in about 30-45 minutes. Done. Less than one hour of total in-the-kitchen time and you’ve got an amazing plate of truffles. You can totally do that! 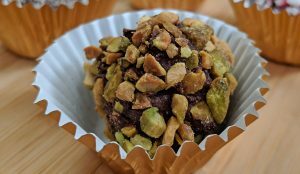 As for topping, I’m using the traditional cocoa, along with crushed peppermint, pistachios, and almond flour (which is just finely ground almonds). Really, the possibilities are endless. 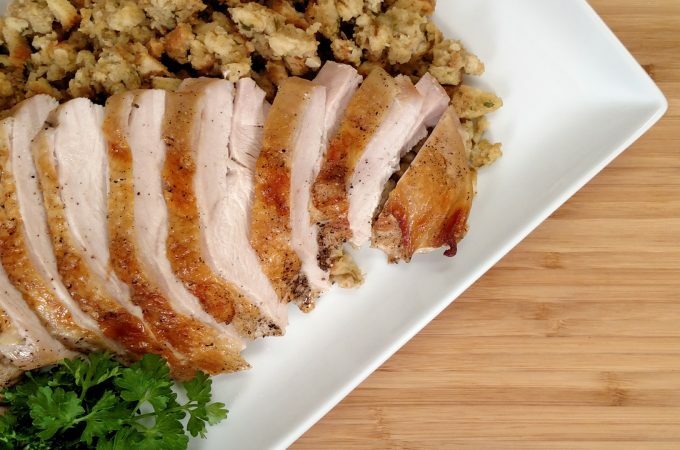 In the video, I promised you a lower-fat gift…you can grab that recipe underneath the traditional recipe below. I am using almond milk, which has practically no fat when compared to heavy cream. One-cup of Almond Milk has only 30 calories and 2.5 grams of fat. 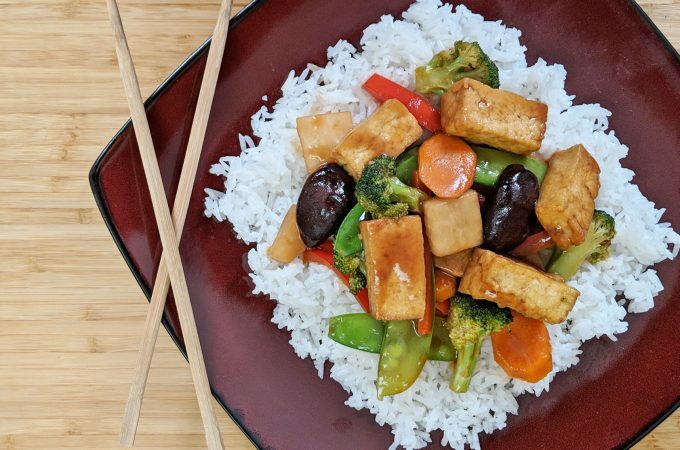 The key to this lower-fat recipe is to get the almond milk really thick and a bit sweeter by adding powdered non-fat milk…which has no fat. It is the same technique I used for my Tuna Casserole on Food Network’s Cooks vs. Cons (See Food Network’s Cooks vs. Cons Egg Fight Episode). 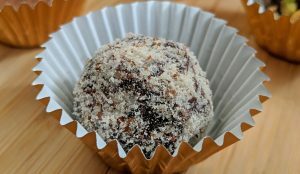 The lower-fat truffles won’t harden as solid as the traditional recipe, so you will have to let them sit in the freezer instead of the refrigerator so that they firm up enough for you can roll them into balls. But, other than that, the process is just about the same…and you’ll save a decent amount of fat and calories. 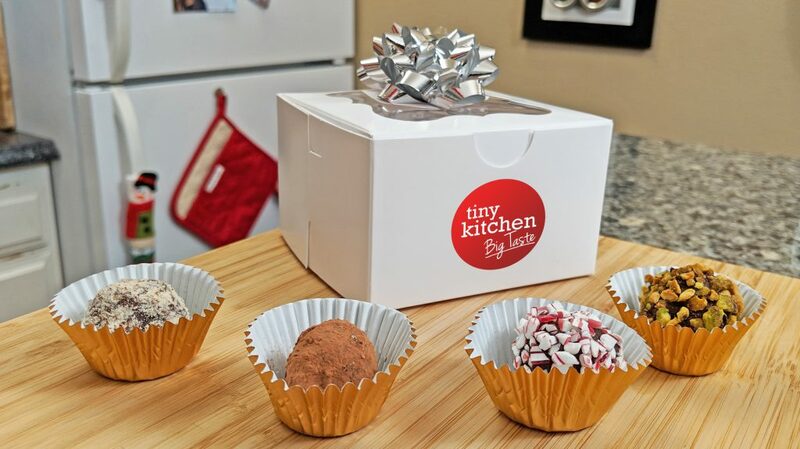 Fair warning though: they are not as satisfying as the original…but you still get a mighty tasty chocolate truffle! Can’t wait for you to give these a whirl…whether the traditional recipe or the lower-fat version! Here’s to kicking off the holiday season not a moment too soon! Smooth and creamy, these decadent Chocolate Truffles are sure to make everyone happy! Pour over Chocolate Chips in a large Mixing Bowl. Let sit for about 30 seconds. Cover and chill in refrigerator for 2 hours to overnight. Using a small Cookie Scoop or spoon, scoop about 2 teaspoons of hardened chocolate. Use your hand to roll a ball of Chocolate. Place on a plate. Continue until you use all the Chocolate. 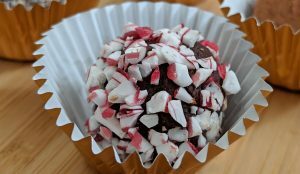 Place plate of Chocolate balls in the refrigerator for about 10 minutes. Remove and roll in your favorite topping(s). Place in a small muffin cup. 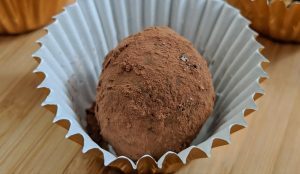 A lower-fat alternative to the traditional Chocolate Truffles! Combine Powdered Milk and Almond Milk and mix until smooth and Powdered Milk is dissolved. It will be thick and sweet. Cover and chill in freezer for at least 4 hours to overnight. It needs to be very firm. Place plate of Chocolate balls the freezer for about 15 minutes.